Happy Independence Day to my fellow Filipinos out there! Welcome back to the blog for day four of this week-long celebration Rachel & I are hosting to celebrate Filipino culture in literature! You can check out the introduction for more details, as well as a post on our personal experiences and the blogger roundtable. Today's post focuses on one of my favorite things about the Philippines: the travel destinations! Since Rachel has never been, I wanted to suggest some spots for her to visit! I've been lucky enough to explore some beautiful parts of my country, but I haven't gotten to every single place I've wanted to go to (*coughs* Palawan, Batanes *coughs*). Let me take you on a virtual tour of my Philippines, the places I've seen and visited many times before. My dad's side of the family is based in Manila, so we often spent summers there as children. I also wound up living in Manila when I attended university! It's the capital of the country, and thus, a lot of the big corporations and Western influences can be found here. If you're looking for malls, nightlife or the center of all business and government, you've come to the right spot. 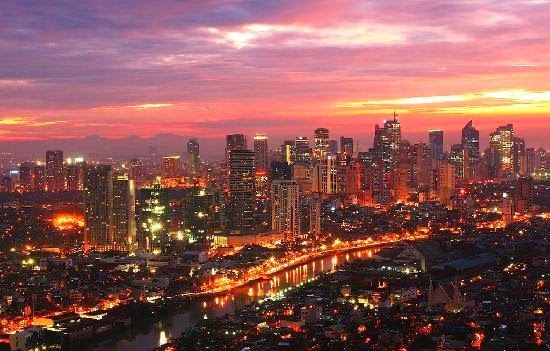 This particular part of the Philippines is pretty much the epicenter of business, culture, education, politics -- the center of the country, really. There's also a bunch of historical sites worth visiting, including some of the universities and churches. After the hustle and bustle of the Manila scene, Cebu is a nice change. Though it's still got an urban side, with developments and malls enough for any city lover, Cebu is the perfect center between the rural and urban. One minute, you could be conducting business; an hour later, you could be out on a boat in the ocean or lying out on the beach. I've always appreciated the dual nature of Cebu when it comes to this, since I do like a little of both city and country in my life. While I did go to school in Manila and meet my husband there and call it home, nothing screams home to me more than Bacolod. This is where my mom's side of the family is from! Bacolod may be a tiny town, but it's the town I grew up in so I love it. It's almost like the small towns in the US -- one main road, very few commercial establishments, barely any tall buildings, and lots of hectares of farms all around. Whenever I want to relax and escape and live an easy, sweet (literally, as we're known for our sugar production) life, I go to Bacolod. 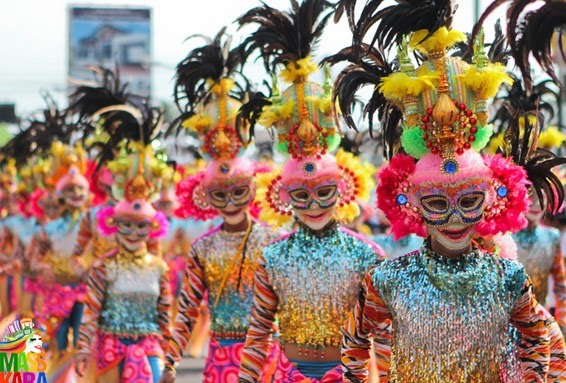 The things we are known for include: inasal (barbecued chicken), desserts (because Bacolodnons have a serious sweet tooth), Masskara (our annual fiesta celebration) and food (because Bacolodnons like to eat). 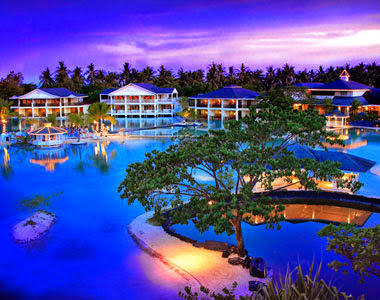 If you're big on the beach, well, Boracay is probably the place for you! 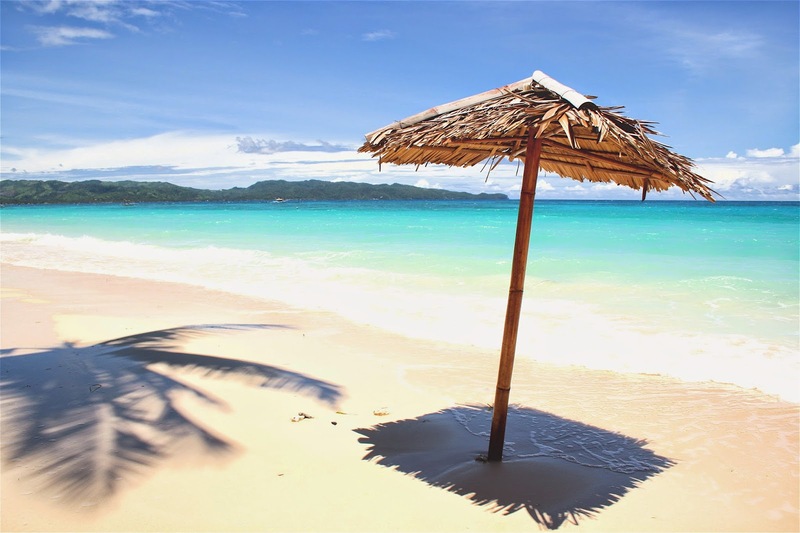 Whether you prefer to keep to yourself, reading a book and laying out in the soon or prefer keeping active and trying all manner of water/beach sports or prefer to dress up (as much as one can at the beach), go out to party and drink, Boracay will be the perfect fit. I've been both when it was starting to become a big tourist destination and when it finally arrived at that reputation, and had different types of fun on both occasions. It's a great place to drop by and visit -- you'll really feel like you're on vacation! Tagaytay is driving distance from Manila (about 1 1/2-2 hours, depending on traffic), but it offers a nice respite from the city. There are delicious, quirky restaurants, wonderful scenic spots and one of my favorite spas (Sonya's Garden) is also there too! While the cliffs might seem a little nerve-wracking (particularly when you're standing on the edge), it's the reason why it has such beautiful views. Plus, if you're the adventurous type, you can take a boat out onto Taal Lake to visit the little island where Taal Volcano is. It can definitely get very hot in the Philippines, so a lot of people (my family included) enjoy going up to Baguio. First of all, you get greeted by this MASSIVE lion. 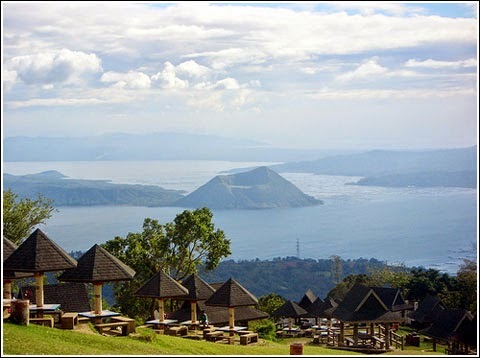 Second, it's one of the coolest spots in the country, and offers the same serenity as Tagaytay (albeit with a longer drive). There are spectacular sites, great flea markets, horseback rides, and just a great atmosphere to relax. It's also very romantic, and I know quite a few people who have had their weddings up there. If I were to compare it to anything here in the US, it'd be like going up to a cabin in the mountains! It gets extremely hot! Lightweight clothing, water bottles, a fan, an umbrella and a change of clothes might not be a bad idea. Try everything once! I mostly mean this about food. Filipino food might sound strange/unappetizing, but I promise that most of it happens to be very delicious. Bring your best beach bunny outfits! Seriously, there are so many places to go to the beach or lay out in the sun that you must take advantage of it. Go and visit historical sites! While not all the places above have a ton of historical sites, I do think that the ones that exist are worth visiting. Filipino history is rich and complicated and utterly fascinating, if I do say so myself. Smile, and show respect! Honestly, Filipinos love to be helpful. If you're nice to them, they'll be nice to you -- and even show you some local secrets or insider tips. 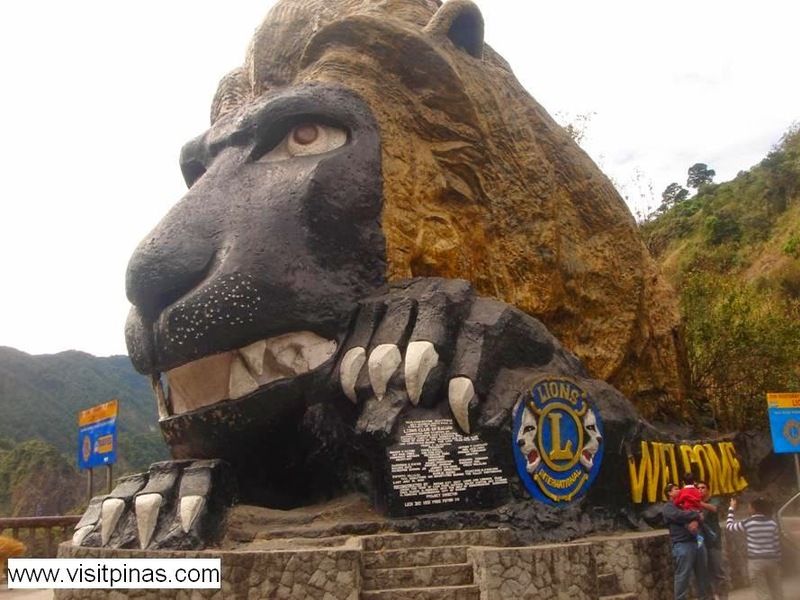 we visited baguio when i was little and i have a picture with that lion. manila is always an adventure and we usually spend a few days there. but when we go to the Philippines we just stay in the province (a small town in Tarlac amidst the rice fields that go on and on) and it's nice. I only ever been to Cebu for holiday with my family when I was younger - it was really nice, we did a lot of resort stuff but also went shopping in town. And yeah, it was definitely hot! I would love to go to metro Manila, Tagaytay, and Baguio - I like little escapes and mountains and cool air. =) Thanks for the tour! OMG AMAZING! I so want to visit one day! I know people who want to Cebu last year and they loved it. This post makes me miss the Philippines even more! :'( I was born there but moved to California when I was 8 yrs old. I just LOVE LOVE LOVE the people in the PH because they're so welcoming even if they're strangers haha. I really want to visit all the places you have on your post (except Manila b/c I've been there and I love how busy it is there haha). Oh my goodness! I haven't been out of North America (barely out of USA, but I did make it to Canada soooo) and all the pictures are GORGEOUS. I'm so glad you had a great time!